Wow, wow, and again… Wow! What a beautiful surprise that was waiting for me hidden among the mountains in my last stop in the Horn of Africa: Eritrea! This ex-Italian colony, also known as “The Rome of Africa” by the locals, definitely deserves its title! 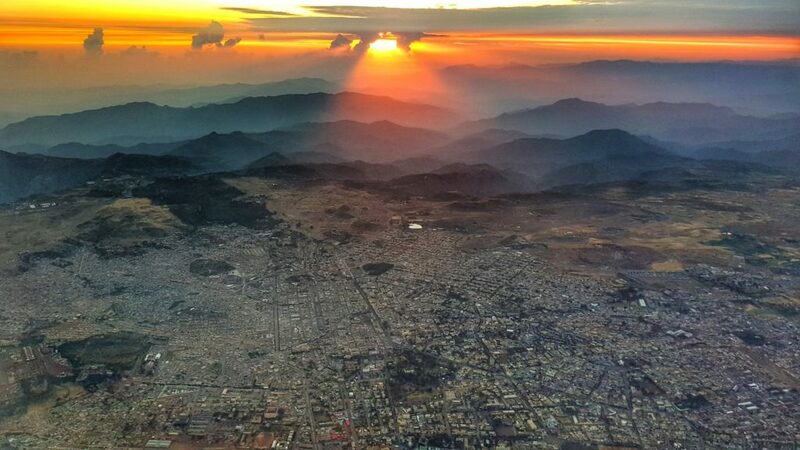 I could go as far as calling it “The Best Kept Secret of Africa!”… Arriving here was like a miracle after the desertic landscapes of Djibouti and Somalia. Just a few months ago I rated Algiers as my #1 most beautiful city in Africa. 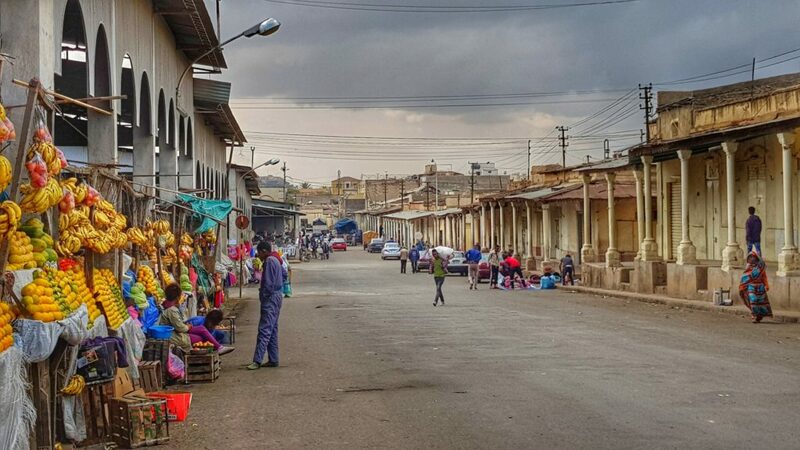 I guess we have a contender for the title, Asmara, the Capital of Eritrea, is definitely in my top 3 that’s for sure! The city is by far the cleanest city I’ve ever been in Africa, as well as one of the safest! Being at about 2300 meters above sea level, I first felt like arriving in a Spanishish colonial town up in the Andes in Peru or Ecuador, but with a punch of Italian Flavours! This is the first place I have ever been that can be called an “Italian colonial town”. I even had a conversation in Italian with M. Telkeste, an extremely friendly Man who has worked with me to organize logistics for the trip. However, Italian seems to have been lost through the latest generations in favor of English which everybody seems to speak fluently. The city still clearly breaths Italy and its influence it everywhere! 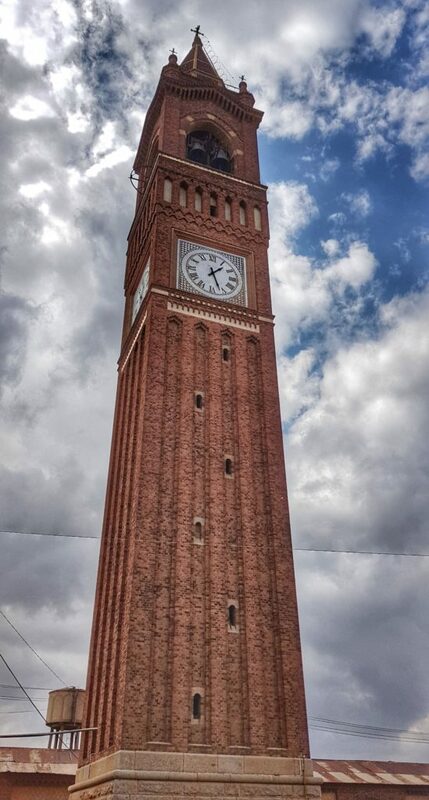 The Cathedral in the middle of the city is of “Lombard style” and the clock tower resembles those of Venice! The grand boulevards are amazingly set up with beautiful palm trees on its sides and kept as clean as a street can be. Even the dressing style of Eritreans can look like those of southern Italians, with a clear preference for fashion over traditional cloth. In a way, I felt transported back in the 1920s in Italy, period where much of the city has stayed after the Italians left. There are still vintage style cinemas that have been converted to cafes, I counted 4 through me walks around the city. 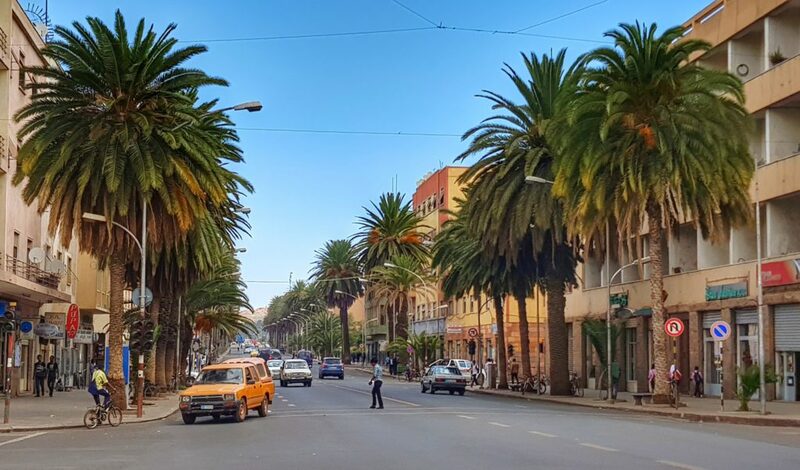 Asmara can easily be a best-kept secret in Africa as it has changed so little over the last 100 years as it is one of the closest countries in the world. Some have even titled it “The North Korea of Africa” referring to its harsh politics of its government. But as a tourist, it is kind of hard to see this side of the story. there are still hints here and there, as I was told by some friendly locals I met in a cafe, explaining to me the situation with the internet. It is still prohibited to have a private connection without a special permit, the internet is accessible only at the dozen internet cafes around the Capital provided an ID to track all activity. 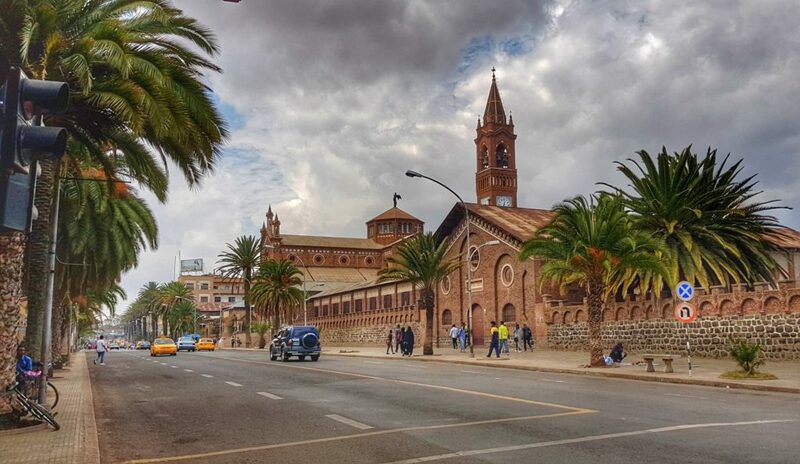 But this hidden gem may not stay hidden for too long… Just this year, Asmara was awarded UNESCO World heritage title, which has sparked a lot of media attention and tourism is now following. According to locals, I talked to, tourism is growing rapidly especially this year! In my opinion, it is a little like Cuba where people should hurry to come to see it before it gets too much hyped and invaded with tourist attractions. Being in the birthplace of Coffee plantations, and having countless Italian style cafes spread all over town, it is no wonder why I had the best macchiatos in the world! I was literally hopping from cafes to cafes to sip countless macchiatos to try to find the best I could in the city! I lost count of how many coffees I had in my whole stay, probably over 30. They still use vintage Italian espresso machines, and with fresh coffee beans, it can’t get better! 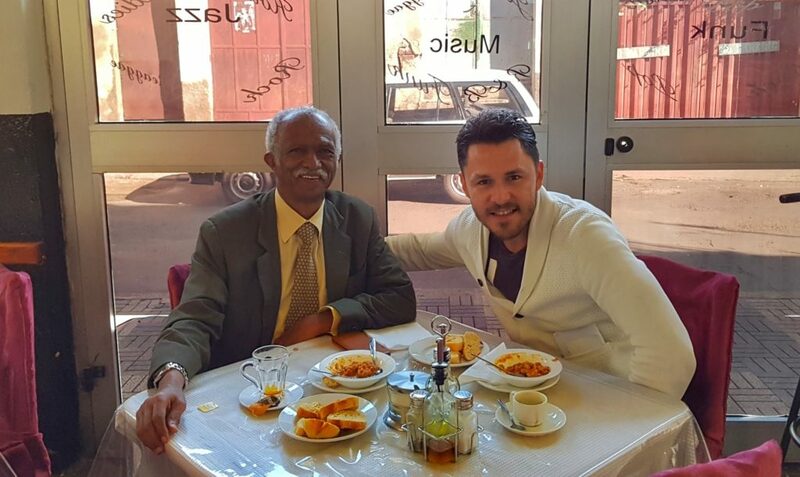 At a traditional dinner, I was invited with M. Tekeste, I witnessed some Eritreans doing the traditional way to make coffee, where they roast the green coffee beans on hot coals, then grind the grains on the spot, then make the coffee, all of that in 30 minutes! It can’t be fresher than this! 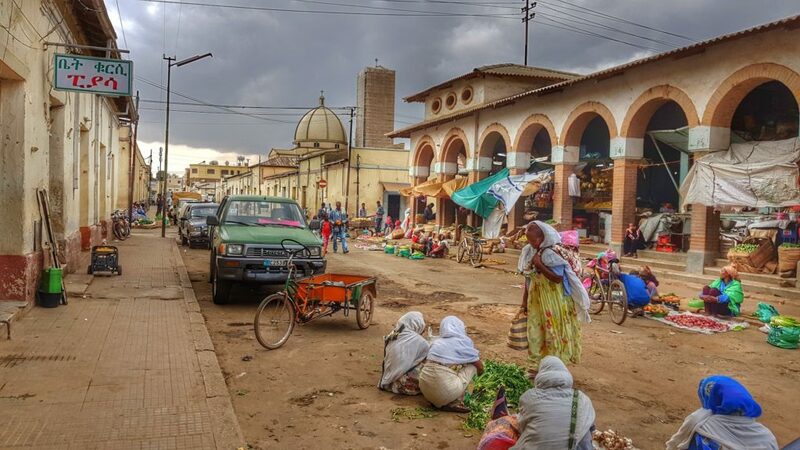 Another interesting fact about Eritrea is the women. They seemed to me so confident, intelligent and I must admit, very seductive. This is the first place in Africa that I see local women wear high heels in the city during the day! Most probably this style comes from the Italian influence that fashion has left on the local population. Even so, they are definitely the most beautiful women I’ve seen in the 42 countries I’ve been in Africa! I was also explained that women play an important role in Eritrean society, and an interestingly their army counts 1/3 of their soldiers being women! that is probably the highest rate of any army in the world! Overall, Eritrea has really fascinated me! I already know I want to come back to spend more time exploring the other parts of the country. 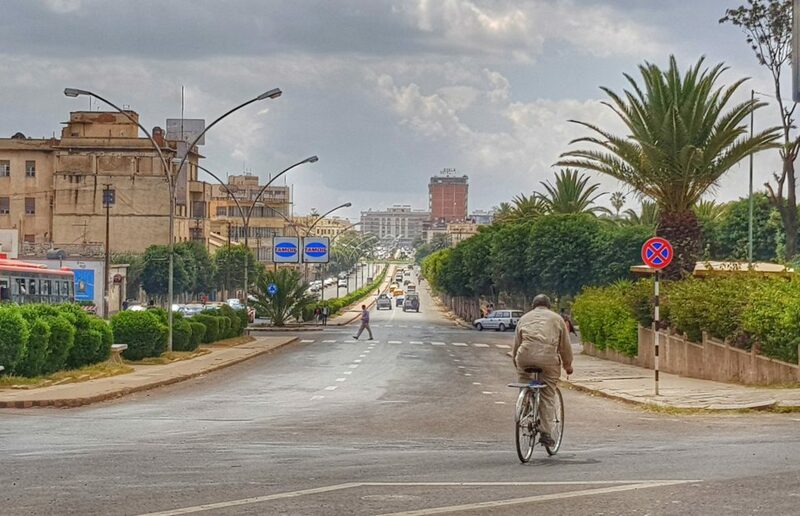 I really didn’t expect the Asmara to be such a shock to me as it has been, thanks to a unique style that I haven’t seen anywhere else around the globe! This all reminded me why I love traveling… Even after 182 countries visited, I keep discovering new places I had no clue existed!